Disadvantaged groups would not be unfairly punished if a sugar tax was applied to drinks sold in Australia says a new study by Deakin University’s Global Obesity Centre. Deakin researchers found that although the price of soft drinks would increase with a sugar tax, lower socioeconomic groups would save the most on health care due to improved health. “A 20 per cent tax on sugar sweetened beverages is likely to decrease purchase and consumption, leading to significant health gains and healthcare cost-savings across all socioeconomic groups,” said researcher, Anita Lal. “However, as a percentage of household expenditure, we found that the lower socioeconomic groups will save the most in out of pocket health care costs,” she said. 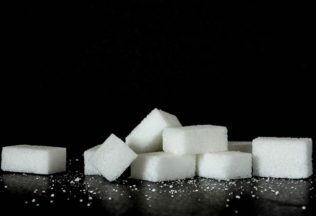 According to the research, if a 20 per cent tax on sugar-sweetened beverages were applied, on average, each Australian would pay $30 extra on soft drink per year. Research supervisor, Professor Anna Peeters, said that if any tax collected from sugary drinks was invested back into disadvantaged communities, the tax would provide further benefits. “In Australia right now almost two in three adults are overweight or obese, and a quarter of all children,” Professor Peeters said. “We know that sugar sweetened beverages are playing a big role in that, and something has to be done,” she stated. What might be the impact of an Australian sodatax?